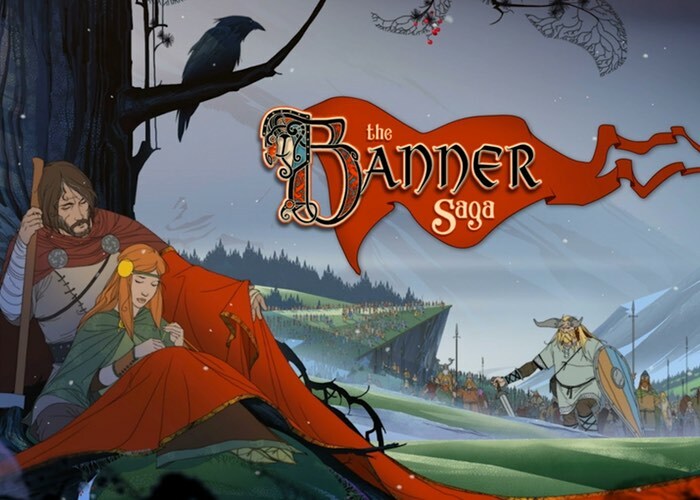 Banner Saga the awesome strategy role-playing game that has been created by Versus Evil, that has been available on smartphones, tablets, Mac and PC for some time is now arriving on PlayStation 4. Lance James Community Director at Versus Evil has taken to the PlayStation blog to announce its arrival on PlayStation 4 console and explains the game will be available to play from January 12th 2016, and has been redesigned to provide gamers with a user experience tailored for the PS4 and DualShock 4 controller. The Banner Saga has you live through an epic role-playing Viking saga where your strategic choices directly affect your personal journey. Make allies as you travel with your caravan across this stunning yet harsh landscape. Carefully choose those who will help fight a new threat that jeopardizes an entire civilization. Every decision you make in travel, conversation, and combat has a meaningful effect on the outcome as your story unfolds. Not everyone will survive, but they will be remembered. The art of The Banner Saga stands out and grabs the attention of people wherever we take the game. Arnie Jorgensen was heavily inspired by the American master Eyvind Earle for the art in The Banner Saga, but a lesser known inspiration came from the children’s books by Ingri and Edgar Parin D’Aulaire, both Leif the Lucky and Book of Norse Myths. For a review of the Banner Saga video below where TotalBiscuit, The Cynical Brit it takes you through gameplay and features on the previous release version.